Too many personal injury victims hire the big firm they saw on television. When they do so, they may have hired a large corporate firm whose paralegals and assistants will simply settle their case as quickly as they can, leaving thousands of dollars on the table. Sometimes, without having an attorney ever even look at the victim’s case. The Olson Law Firm is small, for a reason. We treat each personal injury case as if it were our own. We work hard to make sure you get each dollar you are entitled to. We promise an attorney will work on your case, and keep you informed each step of the way, so that you are never guessing as to where you stand. We do this work because we care. And because we want to ensure that personal injury victims are made whole. You may be limited in how long you have to file a personal injury claim. The statute of limitations depends on the type of claim and who the claim is against. Most personal injury claims in the State of Colorado are limited to 2 years after the event giving rise to the injury. Automobile accident claims may have a 3-year statute of limitations. However, claims against the state, county, or city government may have a much shorter statute of limitations. 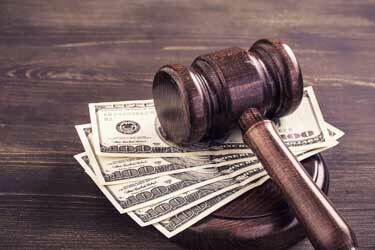 Contact your attorney today so you will not lose your claim by filing a lawsuit too late. A personal injury lawsuit will allow you to file for damages including lost wages, medical bills, ongoing medical care, loss of future earnings, loss of support, emotional damages, property damage, and pain and suffering. Contact the Olson Law Firm today for a review of your personal injury claim so you can seek compensation for your injuries. It is our dedication and commitment that makes us one of Colorado and Wyoming’s preeminent law firms.